Following the success of the first Machine Embroidery class back in March, Maggie Harling will be returning to deliver a whole series of classes as part of the Braintree Summer School! There will be six Machine Embroidery workshops over the summer, covering various techniques and providing plenty of opportunity for experimentation. All of the classes will be suitable for any ability level and as standalone classes you can attend as many or as few as you like, and in any combination – however, we will be offering discounts and useful free gifts depending on how many you book! Click here for the full details and to book your place. Zentangle® and Mandala Art classes coming soon! 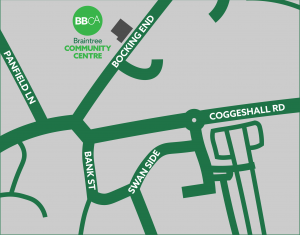 © 2018 Braintree & Bocking Community Association.